COUPONS: **HURRY! HURRY! 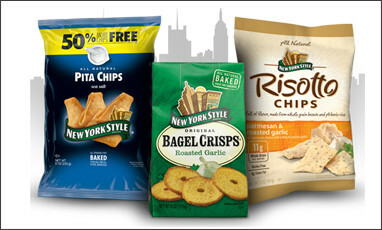 ** FREE Coupon New York Style Snacks (up to $3.99)!!! Go here to print a super hot coupon for a FREE bag of New York Style Snacks! This bad boy was gone early today, so HURRY! HURRY! if you want it now! This coupon is good for one bag up to $3.99. I see some delicious Super Bowl snacks in the near future!